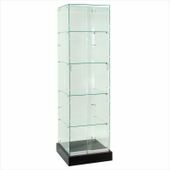 Display showcase with frameless construction has adjustable shelves and includes plunger. 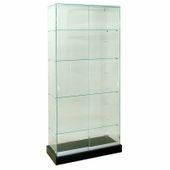 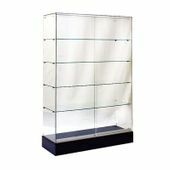 Use frameless display cases for maximum retail merchandise visibility. Let your customer have a 360 degree view of your product while protecting items from theft or accidents. 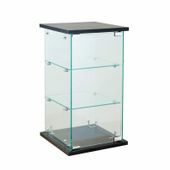 36"W x 20"D x 38"H - Base height is 6".